In my Creative Writing Exercise Workbook I teach several ways to help you accelerate your search for what type of writing you prefer and help you get started.There are 57 exercises which allow you to try different types of writing to see which ones appeal to you. I encourage you to try all of them. If you would like to find out more about writing which can help you realize your dream to become an author, you can find that information in this material. You may be surprised when you try a type of writing you had not considered before only to discover you really want to do that type of writing which is called a genre (john-rah). 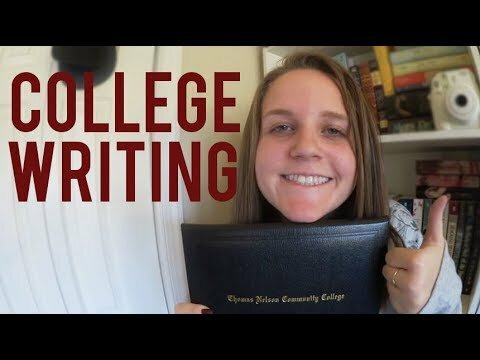 Communicating through writing will give you a complete understanding of how to use a step by step process to start and sustain your writing. You can preview the book below. Fulfill your dream to become a writer. Decide to get started and begin. If you have considered writing, you might want to research genres (categories or different types of writing) to see which area you would enjoy. You can write in more than one genre. There are many advantages to learning to write. Publishing is an option, but not required for you to be successful as a writer. The key is to get started and to have fun. What makes a great character? This is a very open-ended question for which there is no one answer. Your characters have to be likeable. The trait that every good character shares is that they engage the audience in the story that’s being told and by extension of that they are interesting. This is what it comes down to, can you make this character interesting. Here is a way to create interesting characters. When it comes to creating a strong character there are three qualities that must be addressed: likability, competency, and activity. Likability: how much will the audience like this character? Competency: how good are they at what they do? Activity: how much do they persevere? Do they affect the plot or does the plot affect them? Would you enjoy having a conversation with that character in real life? 1) your character must be good in at least one of these areas of likeability, competency or activity. 2) they cannot be good at all 3. The reason why is when you do that you create a flawless character they have no fundamental character flaws. The lower they rank in these factors, the more numerous and fundamental their flaws. If you have too many flaws, they may cease to be an interesting character. Re read the screenwriter post and have the elements in mind. It will help you in this post to recognize how the elements played out in the stories being compared. It will allow you to see how writing for the movies can be so important for following the story. The most powerful moments in cinema are when we see the characters feel the emotion. If we cannot see the characters showing their grief, then it is hard for us to share that grief alongside. Up, The Green Mile, and Interstellar. These three films have one thing in common: they could make an audience cry. Let’s analyze why these films can deliver such powerful emotion, to help you apply their traits into your own works. The opening sequence of “Up” pretty much makes everyone cry.The director manages to bring an audience to tears using nothing but the camera and music. An example of how the camera is used to convey emotion, is in the brief sequence where the audience is shown that the two characters are expecting a baby, but for some reason the child dies. The first shot is wide, bright, and full of colour, but the second shot, where the tragic news is conveyed, is narrow with the harsh, white light, only taking up a small sliver of the screen. The color palette also being far less vibrant, this all in stark contrast with the first shot. The narrow framing of the second shot makes the viewers’ subconscious feel uneasy and claustrophobic. This helps us to empathize with the characters, as the use of the lens is making us feel emotion without us even realizing. There is also a consistency between most of the short transitions, as whenever a shot is changed, the focus of the viewers’ eyes does not move or, if it does, it moves only by a little. This essentially makes viewing a far more fluid experience and makes it just that little bit easier for the viewer to understand what’s going on. A confused viewer is never going to cry. This technique isn’t just essential in good montage, but also to film in general. Truly, the most powerful shot of the montage is the last one, where he is alone at his wife’s funeral, holding a balloon. Now, why is this such a powerful shot? First, it is a direct call-back to the first shot of the montage — their wedding. The contrast between the two shots is a large part of why it is such a good one. The first is full of color and light. The second is a deep, dark, red. In the second shot, the subject is much smaller in the frame than in the first one. This makes him feel tiny and alone. If you look beyond the lens and into the actual context, there is also a powerful contrast — In the first shot, Carl has his youth; a large family and a loving wife to live for. And in the second shot, he has nothing. Absolutely… nothing to live for and give his life purpose. It isn’t a coincidence that the montage opens and closes in the exact, same church. And from a very similar angle too. The fact that these two shots are polar opposites, brings the sequence full circle. To summarize in one word why the sequence is such a sad one, it would be… Injustice. How Carl has been a good person, lived the life without sin. Yet, despite all that, he has had everything taken away from him. And now, through no fault of his own has nothing left to live for. Now let’s look at “Interstellar”. Midway through the film’s runtime, is a particularly powerful scene.Cooper has been out in space for what is for him only a few months, but due to time dilation, has been 23 years for his family back home. He sits down to watch decade’s worth of videos from his children, as they have grown up without him and both, in their own ways, comes to hate their dad for leaving them. In terms of cinematography, there is only one thing worth mentioning — how as the emotion in the scene grows. The camera also comes closer to the subject’s face. This is to give the connection between the audience and the subject; much more intimacy. The real tragedy of this scene is not just in how his children (whom he loves), completely have grown to hate him — but because they are justified in doing so. Cooper left Earth to protect his children, but in leaving Earth he has caused a tremendous harm upon them. In this scene it finally dawns on him how much so. You once told me that when you came back we might be the same age. Today I’m the age you were when you left. So it would be a real good time for you to come back. This right here is the most powerful part. When his daughter, whose face is that of a stranger, reminds him that he just broke the only promise he ever made to his scared and vulnerable daughter. Not only there, but there is also a strong sense of injustice; how the character has been denied the right to ever even see his children grow up. Unfortunately, a large amount of people can empathize with. And all of that, the injustice, the broken promises, how we completely and utterly empathize with the character, all of that adds together to create a powerful scene. Finally we have “The Green Mile”. One of the characters (John Coffey), has been sentenced to death for a crime he didn’t commit. The guards know that he is innocent, as does the audience; but with no choice, the guards have to execute him anyway. The real kicker in this scene, it’s how John is an extremely likable character. He is kind to everyone around him and despite his massive size is incredibly gentle. Without doubt, the biggest reason why this is such a sad scene is the injustice. The fact an innocent man, who the audience likes immensely is wrongly executed, is the most powerful example of injustice you will ever find on film. Also, what plays a large role in making this such an emotional scene, is the fact that up until this point it has been a happy film. While there were some sad moments, the vast majority of the movie is lighthearted, dealing with troubles and prisoners in funny ways. The characters finding joy in a simple amuse that comes in and start doing tricks. If you ask me the fact that so much of the film is so happy, is what makes it such a sad one; because the contrast from extremely happy to immensely sad, give so much more of an emotional fall for the viewer. So, the sad moments have a great deal more potency. Now that we’ve analyzed the three examples, let’s compare them and ask what traits do they all share. Well, it’s a simple one — Injustice. Injustice is an integral part to any sad scene, as if the characters are happy or in any way shape or form, get what they deserve it compromises the sadness that you might be trying to convey. Of course, injustice is only a one small part of what makes a sad moment. A lot of people would argue that you need to be sympathetic towards the characters. But I respectfully disagree. In “Interstellar” Cooper is crying because he has been robbed of his relationship with his daughter. You might be saying I don’t have a daughter. How can I be sympathetic towards him? And enough, it is sad because Carl has lost his wife. How am I supposed to feel sympathetic towards Carl? Rather than being sympathetic, I would argue it’s far more important to be empathetic towards the character. Creating a sad moment is not easy. There is no formula or single trick you can use to make the audience cry. But, there is one integral thing you need to know before you make that scene a tragic one. In each of the examples, what is the singular, most powerful shot? The one moment that makes the audience burst out into tears. In “Up” it is this one — Carl mourning over his dead wife alone. In “Interstellar” it is this one — The moment Cooper breaks down crying. In “The Green Mile” it is this one — Please, boss… don’t put that thing over my face. – Don’t put me in the dark. – I’s afraid of the dark. The moment the guard cries giving the final order to kill John Coffey. The most powerful moments in cinema are when we see the characters feel the emotion. If we cannot see the characters showing their grief, then it is hard for us to share that grief alongside. In writing look for something that’s pretty basic. Does your story grab your reader and does it flow, does it have a natural flow? Does it make the reader want to turn the pages? Learn the techniques that you can actually use. There are tools you can use to keep the audience engaged, but beyond something that grabs you and keeps your attention. Add to that the cleverness of the writing and the way the characters are so sharp. Does the writing have a fresh voice. Maybe that’s too strong? Maybe it’s not too strong. The mode of production at least for big movies is a problem. Because when you have a big movie there is just so much pressure that it work. There is so much at stake that it has an effect on the product and it can become incoherent. There is always going to be (even in the best of circumstances) you can have a great writer, director, producer, cast and script and it can still fall flat. Storytelling tends to flatten out in these situations because one of the element of dramatic irony. Dramatic irony is, of course, what Alfred Hitchcock used it to create suspense, to create a story that involves withholding some information from the audience, withholding some information from the characters when you reveal it. That requires someone who is really watching it and imagining it in their own mind at the time. If you want to be a screenwriter be sure the audience is going to get what you are writing. If it’s too clear, it risks being boring. The three questions that still apply to any story are: 1) what does the main character want and what are they trying to avoid? 2) What does the main character know and what does the main character not know? 3) what does the audience know? What does the audience not know? Most writers realize that you have control over those second two. The audience doesn’t have to know everything all the time. And the characters don’t have to know everything all the time. You can withhold some information, you can play games. Sometimes applying constructivist psychology to the storytelling process adds to the story. That simply means that most of our experience in life, most of our experience in reality is based not on knowledge but on inferences we make based on clues. So that you have what is called top down processing. Top down is you see something in the world and your brain automatically compares what you’ve experienced before with what you are seeing and then you make a conclusion. Bottom up processing is you see things and it goes into your brain and you make note of it and you store information. There are short cuts that we’re doing all of the time. You’ve never seen the back of this chair but you’ve seen chairs so you assume the back looks like any other chair. It would be a surprise twist if the back of this chair had a dragon hiding out there because that’s not normal (what you’re normally associating with that concept). When you’re telling a story, if you understand that is how audiences are responding, how they experience a movie is they are looking for clues and they are going to put them together and they are actively involved in constructing a reality. You are the one as a screenwriter you are giving them the clues, you are turning them, you’re making them the smartest person in the room. You are making them brilliant because they are seeing all of these clues. You are the one actually giving it to them. But they think they are figuring it out and they are going to try to anticipate where you are going because they have seen movies before. This is a conceptual framework called a schema. They’ve seen a movie. They know how movies are. They know they tend to have a character that does this or that. When you know that you can play games with them that’s the most fun thing about screenwriting. Creating worlds and driving people crazy and getting in their heads. You can learn how to get into their heads. Just a very simple example, suppose I show you a movie and there’s a husband and he’s buying his wife flowers, chocolate and an anniversary card on his way home from work, okay? Then meanwhile you see the wife has got something she’s hiding in the bedroom drawer. What are you going to think? Well it’s pretty obvious isn’t it? He wants to make love and she has other plans. That’s where the audience is going to go and you could play it off where he comes home with the flowers and she pulls out a knife when she is with him. Or you could then disclose later that he’s a knife collector and the surprise is this is a present for him. This is something he’s been looking for. She saved up for it and she wants to give it to him as an anniversary present. And then you find out that he poisoned the chocolate. You just told a twist which is telling two stories at the same time. The one the audience thinks its seeing and the one it is actually seeing. You are relying when you do that kind of thing on the audiences propensity to figure it out and be smarter than you and once you’ve got them going that way you can have all kinds of fun. So you want to write a book I know the feeling. I’ve been writing books for many years now and I have a number of foundational steps that you can follow if you’re going to write a book. Speed is not the point, quality is the point. To begin, establish your writing space. Establish what you need so if you need solitude make sure you find a place in your house where you can shut the door or you can turn off media and you can have privacy, silence, and whatever you need to write. The more you can afford, the better you’ll do as far as equipment and space. The next important step is to assemble your writing tools. Learn how that works for you.Your back and your neck are important to your writing. You’re going to be spending a lot of hours in front of that computer so don’t scrimp on your computer and when you’re home don’t scrimp on your chair. Make a list of all the things you’re going to need while you’re at home. If you need paper clips or a stapler or whatever make sure you have all those within arm’s length so you don’t get distracted by having to look for things. Another important thing you want to do is to break the project into small pieces. The reason that writing a book seems so colossal is because it is writing a book. Break the task into as many small pieces as you can. You have to realize yes it’s a 4 or 500 page manuscript in the end. That’s made up of sentences, paragraphs, and chapters. Just doing a step one at a time that’s the way to get a handle on it. The next step is to settle on your big idea. It needs to be a big idea if it’s book worthy. It’s going to be a big concept. If it’s a small idea use it for a blog or an article. It has to be big. I can’t overstate the importance of this. If you try to write a book before and you ran into a roadblock at the 20 or 30 day mark or maybe the 20 or 30 page mark it could be because your idea wasn’t big enough. How do you know if your idea is big enough and if it has legs. If it stays with you, if you tell your spouse, or your friend what your book is about and every time you tell them it gets bigger that’s a book that’s going to last in the marketplace too. Next construct your outline. If you are a pantser (one who writes by the seat of your pants) you can have some sort of idea where you’re going, even if it’s on one side of one sheet of paper. Give yourself some direction of where you’re going. Now some people especially if you’re a beginning writer, your editor or your agent may need to see an entire synopsis of your novel idea so you’ll have to do more of an outline than you might have to do later. Agents and editors demand outlines for nonfiction. There’s no writing a nonfiction book without an outline. The agent or editor want to know what you’re going to say, how you’re going to say it, where you’re getting your information, and what your points are going to be. Every time you get to the halfway or 3/4 point (what is referred to as the marathon of the middle) remember the reader is right with you. If it seems boring to you, your reader is asleep too. If this happens you’ll take care of that with your outline. In nonfiction, you’ll know that your middle has enough good stuff in it. For fiction, especially if you’re a panther, you better be sure you’re saving a lot of big setups and payoffs for that marathon in the middle. You can do the same in nonfiction. The same structure works for nonfiction. In fiction you don’t have the same number of elements as far as tension and conflict and dialogue and that type of thing but you still need to set up in the payoff. Make your non-fiction book say you’re writing a nonfiction book about how to __________. You need to set it up so that it looks impossible until your specific solution comes through. That’s your setup and payoff. Remember don’t be intimidated by an outline. Your outline serves you not the other way around. If you have an outline and you find yourself drifting from it or you think the book is going in a different direction, better change the outline. Don’t change the book, make your outline and work from it. The next step six is to set a firm reading schedule. That includes a firm deadline that you keep firm. This is a thing that hangs up too many beginning writers, they don’t have a publishers deadline so they have to set their own. Sometimes an author tends to fudge on our own deadlines. Make sure you don’t do that. Keep your deadline firm. The way you do that is you figure out roughly how many pages you’re going be writing for your book. If it’s 300, 400, or 500, divide that into the number of days you’re allotting yourself to write. This may change once you get started and realize how many or how few pages you can write per day. If you schedule yourself for 10 pages a day and you’re really not comfortable with more than four or five, change your schedule. Change your deadline. Once you get it locked in, keep it firm. Statistics show that only about 1 in 100 writers literally meet their deadlines. If you just do that, you set yourself apart from ninety nine out of a hundred writers. Don’t make the mistake of thinking you’re going to find the time to write. When you have to write you have to have something taken out of your schedule. Is that an hour or two of sleep at night, is it a concert, is it a ballgame, is it a movie, is it a favorite TV show? How bad do you want this. Schedule your days right on your calendar or on your computer. Keep that deadline firm. The next step is to conduct your research. Everybody knows that you need to do that automatically for nonfiction. You have to be an expert in what you’re writing about and not just drawing on your own experience. Show that you immersed yourself and all the writing in your field is accurate. A lot of people miss the fact that research is just as important for fiction. It could be even more important if you miss a small detail of history or aircraft or weaponry. You can be sure readers are going to point this out specificity. It establishes credibility to fiction and fiction needs to be believable. Once you’ve done your research, you’re going to be tempted to show that off to the reader. You want to resist that urge. Your research is not your main course, the story is the main course. Research is the seasoning that adds that specificity. It is what gives you credibility and believability. Make sure your research becomes seasoning and that it’s right, because readers notice. The next step is to write a compelling opener. Give it the time it deserves, because if you can pull off an important compelling first line it will set the tone for your entire book. You probably won’t write a more important line than that first one. Most first lines fall into one of these categories: surprising, dramatic statement, philosophical, or poetic. A dramatic statement keeps the reader reading. The first decision you make in your manuscript should go through that filter of reader first. Not you first, not editor first, not agent first, not reviewer first, not critic first, reader first. Writa a sticky noteto yourself reminding you that you wanted to be the best, most compelling, most moving, most emotional experience your reader has ever had. Think reader first, not anybody else first, so think reader first, last, and always. The next step is to fill your story with conflict and tension. Readers crave tension and yes, this applies to nonfiction as well. Almost every time a writer shows a their manuscript and says I don’t know where to go from here it’s because they got to a point where the people on the page are agreeing with each other too much. We like that in real life. It’s nice to have pleasant conversations or talking with your spouse over a meal. That you’re talking about how nice a day it is and what you’re going to do, there’s nothing more boring in fiction than that. What you want to do is have one of those characters say something totally off-the-wall. Maybe this isn’t a beautiful day and the writer writes in a conflict. What’s the problem in their relationship, what’s the underlying tension that caused that conflict. That will keep people turning the pages. You want to do that on every page, even if it’s just a matter of someone setting up an appointment. They need to see the doctor tomorrow, there’s an implication, something’s coming up otherwise. Why would the writer put it in there? In nonfiction, how do you do that, you don’t want unpleasantness, it doesn’t have to be something negative, it doesn’t have to be a battle or a war or a fight conflict. The tension comes up in nonfiction simply by promising and then delivering. Setting up and paying off are some of the best nonfiction writing and ones who have spent the first several chapters promising you what you’re going to get when you finish reading this book and then they deliver. The next step is to turn off your internal editor while you’re writing your first draft. Most writers lean towards being perfectionist(s). That inner critic sitting on our shoulder telling you what’s wrong with every word you write. That inner critic is just you or me and that critic needs to be told to shut up. Now is not the time to be criticizing your own work. Always save your editing until the next day at least or longer. You can wait between when you write it and when you edit it the better for the end product. This is the opening pages of a work-in-progress. Next if you wouldn’t show this first draft off to your worst enemy, don’t worry about cliches, redundancies, or lacks of logic. Get the story down and turn off that internal editor. Get your story down and then tell yourself that the next day you can put your perfectionist cap back on and have at it. Remember the marathon in the middle? Look at that again because if there’s any place you’re going quit, it’s going to be during the marathon in the middle. This is the toughest spot for every writer. Yo will wonder and ask yourself, why did I get into this business? The problem with the marathon of the middle is we’ve all got great ideas to start and we can’t wait to get to that big finish but now we’ve got a couple hundred pages in the middle to fill. If you just start padding it in fiction with extra scenes or nonfiction with extra points, your reader is going to drop off the page. This is where you don’t just survive, you thrive. Set up your payoffs so well in the middle that you can hardly wait to get to the ending. The ending will work better because you didn’t just persevere through the marathon you arrived. Next is to write a resounding ending. You want your book to end the way a Broadway play ends when that curtain comes down with a satisfying thud. Even nonfiction has to have that great ending. How do you make sure your ending doesn’t fizzle? You give it the time. If you rush it or just don’t know how to make it work keep at it, don’t settle for second best. If it takes longer to write your ending than the rest of the chapters do whatever it takes to make it work. If you’ve got several ideas for how what might be best, go for the one that is the most emotional. Readers remember what moves them. I set up all my writing in Google Docs. That way regardless of the computer I’m on I can write. With this set up I’ve written on my desktop, laptop, iPhone and iPad. Essentially, it allows you to write anytime you have a spare minute or couple of hours… for example, last month I was flying back home and was able to crank out 1500+ words on my iPad because I had access to the Internet and my manuscript. I keep up with my word count. In Google Docs if you hit Ctrl + Shift + C it will provide your word count. I note this at the start and the end of writing sessions. I write at least 1000 words. I sometimes come up short on this number but often I far exceed it, but keeping track of my words helps motivate me and gives me the boost of energy that is so important in establishing a habit. I keep a separate Google Doc with ideas for future books. I find if I get my ideas written that my subconscious mind starts working on them so that when I do begin the next writing project the ideas and connections just flow and the process is much more effortless. I write at least one sentence. On the days that I absolutely do not feel like writing or the words are just not flowing I do not let myself off the hook. I write at least one sentence. Often when you set the bar this low, one sentence leads to another one and another. Pretty soon instead of the 15 words on the page that would constitute a sentence I’ve written 400 or 500 words! 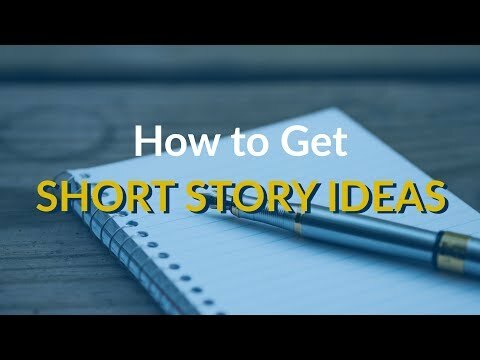 Techniques to come up with short story ideas. The fun thing about short stories is that there’s such a compact and flexible medium. It’s pretty easy to jump in without much planning. Short stories are pretty much all essentially about change. Really stories in general are about change. No matter where your idea comes from or where it starts what you’re looking for is change either within the character or the readers understanding of the character. Look for a way to add goals, tension, conflict, and antagonistic forces. The first technique would be to start from a character. A lot of stories start with a character. Often this isn’t a fully fleshed out character, but just a character type. Sometimes this detail starts with someone you observe in real life while people watching, someone you know or it’s just a more general detail or type that you find interesting. Some examples of a character type would be a teacher or a dog walker. These are character types but they’re not really characters yet. However, if you have one you want to write about you can turn that character type into an idea. None of these character types lend to stories in themselves, so what you have to do is complicate them, add another element to take this idea from a character type to an original character with a story. Combine this character type with something unexpected to ignite the story and the conflict and find that change you’re looking for maybe your teacher is also a dog walker and accidentally loses the dog. Now they have to scramble before the end of the day when they have to return the dog to their owner. Now you have a specific situation you can work from. You can also use a similar process a setting whether you want to write a story set at the bottom of the ocean, or a medieval castle, or the edge of a volcano. Setting can be a really fun place to start a story idea. Setting is especially a good place to start if you’re a really visual writer and you tend to work well from imagery or atmosphere. Drop a character into your setting and see where it takes them. You have a character type you want to work with and a setting you want to work with combine them to see how they clash and see what the setting can bring out of the character. Similarly to working from characters, you could also try working from a character relationship. It’s quite common for a short story to explore the essence of a single relationship. The nice thing about this is because with two characters it gives you tons of opportunity for conflict. Common relationship types you could explore would be friendships, parent-child relationships, romantic relationships, sibling relationships, and even these more familiar relationships we see often in fiction can be really interesting from a new angle. Try to add in some sort of contrasting element to ignite the conflict. Maybe you want to talk about the rival returned friendship of two gardeners who work on opposite sides of a hedge and only communicate by talking through the hedge. They have never actually met. You could also try working from form. Normally you would create your form to match your story but the fun thing about short stories is that they can really do wacky experimental things and you don’t have to commit to it for the full span of a novel. You could do something really wacky like second-person future tents from the point of view of a light bulb. Instead of having to plan out how this is going work and play out technically for ninety thousand words you can just see where it goes. The puzzle now is creating a story to fit the form you want to work with rather than the other way around. If you have an idea for a form that’s really intriguing to you, it can be a fun way to write. Finally you could try writing from a prompt if you’re really stuck. Prompts can actually be a great way to start writing. You can use anything as a prompt. I often like using photographs as prompts. I’m a very visual writer and my ideas usually start from some random image. Sometimes it helps if I just seek out the image instead of trying to create one. If you really like music you could use songs as prompts. You can really use anything or you can try using actual writing prompts. What creative writing classes taught me that helped me to become a better writer. 1) Keep a journal. Sit down and spend time playing with your writing. A great exercise is to begin writing and don’t stop writing even if you don’t know what to write and your mind draws a blank. Something that can help is to just repeat the same word over and over and over on the page until you are able to move on to something else. Do not focus on sentence structure, word choice or if what you are writing makes any sense. The point is to just keep writing and keep pumping out that stream of thoughts. You never know what you’re going to find if you really open up your mind. Do not let yourself get distracted. Some of your favorite ideas or random paragraphs of thought dumps might come from doing this. 2) Rules were made to be broken. Common sense coupled with a basic understanding of how writing and literature has changed throughout the years brings the understanding that unless an individual steps forward, brakes the confines of the popular and preferred writing style of the day and introduces something new, we would not have grown at all. We’d also be writing the same way, hundreds of thousands of words would not exist, and all plot lines would follow the same basic structure. When we see certain trends going in and out of style and publishers catering to those trends it’s easy to get discouraged or stressed about not specifically following a three-act structure or hesitant to play around with voice intents because it’s unfamiliar to readers. From the time we’re born to the time we die we are taught that this is the society you live in, this is what is expected of you, and this is how you’re going to live your life. Every once in a while we get somebody who doesn’t fit into the norm, someone to introduce us to something new, and changes our ways of thinking. Do not be afraid to break the rules of writing that you do not like. Creative writing is a great outlet in which to do so. 3) Do not be afraid. Break out of your comfort zone. Challenge yourself to tap into different styles of writing. What you learn from this can even help influence your writing style. You will come out more experienced. Taking creative writing classes can help you learn the technical aspects of writing and its history and gain critical thinking skills. In the end, there is no manual or set plan for creative writing and getting better at it, just like there’s no right and wrong way to better yourself with your skill as a writer. It’s up to you to do it. Writing physical descriptions of characters are a tricky and can be hard to insert naturally into the narrative. They can easily come across as cliche or force and for first-person narrators if they’re not done well they can make the first person narrator come across as very vain. Here are some ways to take your physical descriptions from bland to interesting, make them work harder in the narrative, and make them a part of the story that’s actually interesting and important. Avoid something that just feels necessary. Let’s address the great debate. Do I need a physical description of my character. That is a strong yes. Readers seem to fall into two camps: readers who don’t need physical descriptions and if there is one we’ll probably just ignore it and readers who really need one or they can’t picture the character. The next thing is how to insert that description into the story. This is where a lot of writers struggle. Decide if your story is high energy or low energy. Put your descriptions and how you physically describe your character in as soon as they are introduced. Keep your descriptions short. One of the great pitfalls of character descriptions is when they go on way way too long. When in doubt, three sentences. If you are doing two characters at once then perhaps a full paragraph. What you should avoid in a physical description of a character and what to include. Avoid cliches. Simple descriptions often fell prey to cliches in how the description comes about. The next thing you want to avoid is over-the-top detail. If you have too much in detail the reader won’t retain it. It would be much better to go with fewer bolder traits that are strongly described than a lot. Make your descriptions interesting. We can describe eyesin an interesting way without them being glimmering orbs of ocean. Include voice. Voice is such a great story element and is very important to consider in your physical description. Like everything else in the story, the voice of the character and as well it should be in the tone. Tone is the view the story has towards itself introduced to the description. You can think what is the view the character has of their own appearance: insecure or confident. A side character what’s the view that the main character has towards them. Make your language interesting or you have to make the features interesting. Both would be good. Example of making traits interesting: her face was narrow and she had hawk-like features strangely soft like she was. A broken piece of marble weathered by centuries of current curls fell ragged around her face, knotted around her ears, pale, uncombed, and grappled into an unraveling braid. She looks like an unfinished doll abandoned by her maker. This is very important and I think it was touched on quite well in that last example. Flaws are more interesting than perfection. It’s also important to notice that the lack of description of flaws can cancel them. They’re not flaws if you describe a character to someone and you don’t mention the flaws. Even if you just describe them in kind of simple ways the reader will probably picture them as like conventionally attractive because that’s how people are. If left to our own devices we should really just picture attractive people because people like looking at attractive people. If you don’t specifically point out the flaws and you don’t go out of your way to make sure you comment on the flaws, the reader will not picture them. I also want to note that if the word perfect or any of its synonyms or any similar word appears at any point throughout your physical description, you should delete it immediately. Anything that is perfect is not interesting. Rather than trying to convey how attractive your character is, convey how interesting and unique your character is. Find little details specific to that character whether it’s a birthmark, a scar, or your clothing choices for that character. Next time you want to include more than appearance or the way to character looks you will discover it teaches a lot about their personality, their lifestyle, and their habits. Just describing their natural traits it’s also describing how they work with their natural traits. Clothing is also important. You can say a lot about your character and you’re physically describing your character. Don’t make the aim that the reader can picture them, make it so that the reader can learn about them as people. Use a physical description in the form of showing the character’s personality layers and depth to your physical description. This is what I mean about making a physical description work harder. Make it pull its weight in the story. Make it accomplish more than just physically describing the character. A physical description is a good time to more overtly include other details beyond just the basics. One of the most common writing problems for new writers is melodrama. Here are some strategies for how to spot melodrama and how to avoid it. What exactly is melodrama? Basically melodrama is when the emotions being presented are not supported or earned by the storytelling. The story is too emotional and because of this it actually loses its emotional complexity. If the story becomes over the top, instead of becoming impactful it just kind of becomes cringy or sureal. It can be really very hard to find the balance between too subtle and to over the top when it comes to expressing emotions. Writers generally overcompensate in this area so then they withhold too much and it’s boring and detached. If you are scared of the writing being bland, boring and not emotional and can begin expressing emotions way too much. Watch if you start thinking “this isn’t coming across”. Melodrama generally is the result of the writer thinking there is no emotion and not trusting their ability to convey emotion. Trust yourself, trust your skill and your ability to convey an emotion with a sentence rather than five paragraphs. Just write your first draft and come back later to adjust the emotions. Get out your thoughts and then come back to it later to get the balance between emotion and melodrama. 1) Melodrama comes from using language that is more intense than is warranted. It can just be word choice. Some word choice is just very very loaded and very emotional. 2) Mentioning souls in regards to emotion. EX: anger bubbled in my soul or I felt sadness in my soul. The concept of a soul can be in essence very melodramatic and emotional. At first it might be best to avoid mentioning souls in relation to an emotional context. As you get better at writing you can see where this might work itself in to your story. 3) Pathetic fallacy often refers to when the natural world mirrors the characters emotions. So for example, it’s raining because I’m sad. It’s not actually raining right now it’s sunny and I’m happy. Another form of pathetic fallacy is just personifying the natural world. Now personification isn’t a bad literary device but personifying the natural world especially in excess can become quite melodramatic it’s kind of similar to the soul thing where it gives the natural world this lofty spirituality. 4) No subtext. Subtext is basically everything the characters aren’t saying. When characters just say what they mean without subtext it often means the thing they’re withholding is that really dark deep emotional feeling that they don’t want to express. If they just say it out loud, if there’s no subtext whether in dialogue or in the characters narrative, then it becomes quite melodramatic. It also removes the subtlety and possibility for interpretation in your story. It can also about drama. It’s best to have subtext. An exception to this might be very young characters or if your character is drunk. They’re exceptions to this. An interpersonal conflict involving an adult who has control of themselves will probably be speaking with some degree of subtext. 5) Cliches. Cliches especially even on the line level can be really melodramatic because they’re just familiar. I don’t really know why they feel what they do. If there are a lot of cliches or familiar phrases it just makes it seem melodramatic even though there’s nothing really inherently emotional about a familiar phrase. 6) Forced suspense. Suspense would be another example of a writer not trusting themselves. They don’t trust their ability to create suspense so they tell you that their suspense is. When you end a chapter with no idea what was about to happen. Ending every chapter on this really forced line, forced cliffhanger, where you’re really hitting the point way too hard. It sounds like you are saying it’s suspenseful keep reading. It’s actually super melodramatic and also cringy. It kills the suspense because it’s telling instead of showing the suspense. It often happens at the end of scenes where the writer wants to wrap things up but keeps you reading. When the writer throws this one-liner at you where it’s like keep reading because this is suspenseful it’s also melodramatic you know it is being forced. 7) Talking too much about abstract concepts. This is going to relate to what we often say about show don’t tell in terms of emotions. Talking about abstract concepts like sadness, anger, love, peace, are quite melodramatic. Similar to the soul concept. Even if it’s not the main character saying I am sad. It’s not even a telling thing, it’s just having a discussion of abstract concepts in the narrative rather than showing them through the character’s world, how the character experiences the world, even showing them through symbolism would probably be a stronger way than just having the character going on a little side tangent about the nature of sadness. Occasionally you can learn these things especially in a novel where you are going to have more leeway with melodrama. 8) Being off balance between telling and showing. Both too much showing and too much telling can cause melodrama. If you tell too much it’s too over the top. Things like she was angry is not interesting, there is no emotional texture. I think it’s common for writers to be very aware of this show don’t tell rule and so they go overboard with I need to show. They show way too hard. If you show with too heavy a hand and you hit those points too hard then, it’s just overblown and so it’s again about trusting. Trust that you can convey emotion with a line, with a subtle character gesture, rather than going on this long tangent about emotion and having the character cry. You can convey things in subtle ways. 9) Dreams. There are cases where you can use a dream and it makes sense. In most cases dreams are forced symbolism or very bad ways of conveying information. In fiction it’s used to show us something the characters feeling deep down, through their subconscious, through their dreams. It can end up being an extreme situation that is not subtle at all. It is often thought of as a subtle technique where it’s like oh I’m just going to use dream symbolism and not actually show what the character is feeling. Then it’s quite evident through the dream that the main character has seen her brother standing on a cliff, then he disintegrates and she’s standing among the ashes or something. It’s not actually that subtle at all. It’s pretty obvious, but it’s meant to be subtle and so then it’s really melodramatic. When the main character is too aware of the symbolism you don’t really need it. If the main character have some object like a locket and represents her mommy issues because it holds the secrets of her family. If the main character is aware that it’s a symbol, it’s not really a symbol. A symbol is one half of a metaphor. You just kill it being a metaphor by going oh yes this is the metaphor. You have to let symbolism speak for itself and be somewhat subtle or else it’s very heavy-handed and melodramatic. 11) Murphy’s Law. Murphy’s Law is basically everything that could possibly go wrong goes wrong. Now obviously in fiction and in writing things are going to go wrong. That’s the nature of conflict. Things might go wrong more often than they go wrong in real life however, abusing Murphy’s Law is like every single thing is bad. There’s literally no light, there’s no hope, every possible thing that could go wrong goes wrong. Or when you throw in random hardships that don’t really play into the main plot, that becomes quite an abuse of Murphy’s Law. 12) Overly intense character reactions. It’s not just the reaction itself, but how it’s described. Giving your characters appropriate reactions to things and then also describing them with the appropriate level of intensity is so important to your story. Have genre awareness. Some genres are going to be inherently way more melodramatic. Some will be less melodramatic. Know your genre and what is allowed, what the standard is, and what people would be expecting.